4 millennial stereotypes: Fact, Fiction, or Scapegoat? It’s time to have a verdict. The Internet is inundated with fluff articles about the culture, attitude, and behavior of millennials. This, in turn, adds to millennial stereotypes: a generation lacking focus, passion, and substance. Entitled and focused entirely on themselves (and their smartphones) without having actually worked towards anything. Rather than add to the millennial thrashing, let’s see if we can prove, disprove, or call into question the stereotypes surrounding millennials. 1. Millennials are addicted to their smartphones. There is no denying the millennial-smartphone connection. However, millennials constitute a wide range of people (ages 18 to 34), with a wide range of ideas. Who’s to say the older generations possess similar habits of smartphone use? After all, millennials are more efficient with technology, saving them time so they can do other things. As it turns out, those “other things” are often: “playing with a smartphone.” According to a recent study by sdl, US millennials touch their smartphones 45 times a day. Considering there are, on average, 16 waking hours in a day, this equals three cell phone interactions per hour. It gets worse. An Emarketer study found that almost half of millennials aged 19 to 22 use cell phones for over four hours each weekday on average. This means that one-third spent five hours, or almost a third of their day, on a mobile device. 2. Millennials are uninformed about the facts. Millennials receive a fair amount of backlash for their presumptuousness because they assume they are more knowledgeable than their elders. While they certainly cannot stack up in terms of experience, they make up for it with their education. Older millennials have the most bachelor degrees of any generation in US history, with one-third of the group achieving a 4-year degree. While possessing a degree does not guarantee someone is educated, it makes a strong case. Furthermore, millennials are actually reading more than previous generations. While 79% of people 30 and older have finished a book in the last year, 88% of the under-30 crowd have achieved the same feat. It is hard to find an op-ed piece about millennials that does not point towards their intense narcissism. After all, this is the "selfie generation." There definitely seems to be sound evidence for millennial narcissism. A recent study found that nearly one out of every 10 millennials is narcissistic, compared to around three in one hundred people among previous generations. At the same time, a study by the CIA found that millennials were more likely to value giving back to society than previous generations. That certainly does not stack up with the “observed” narcissism. 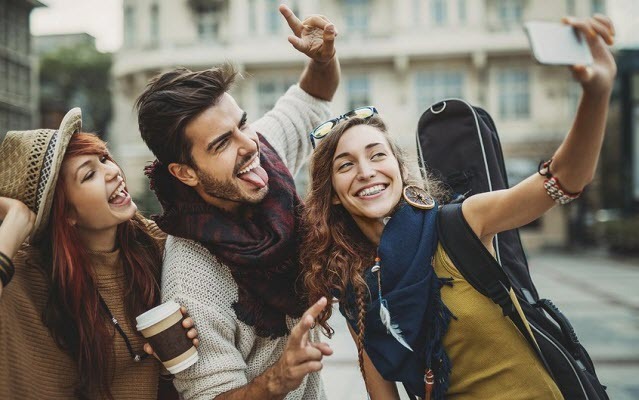 It could be that millennials are not inherently more narcissistic than previous generations—they just have the social media channels to flaunt it most. 4. Millennials are just as well off as previous generations. As it turns out, the average income for people between the ages of 18-34 has dipped significantly. In 1980, it was $35,845 (P1.65 million). In 2000, it was $37,355 (P1.73 million). Millennials make on average $33,883 (P1.56 million), or about $3,500 (P161,547) less per year than they did a decade and a half ago. Compounded with the mountainous rise in student debt, and it’s no surprise that more millennials are living in poverty than ever before. In 1980, there were about 8.5 million people living in poverty. Fast forward 35 years, and there are 13.5 million instead. That’s an increase of 158 percent. [email protected][email protected] */ // -->v1nrbb5t" target="_blank">Now, 15% of all millennials live below the poverty line. Whatever your opinion on millennials, you will have to work with them at some point. In fact, all of your interns and 95% of your entry-level hires are probably millennials as well. So instead of bashing them, learn to appreciate their hardships as well as what they bring to the table. Who knows—they might just surprise you.